Cool. 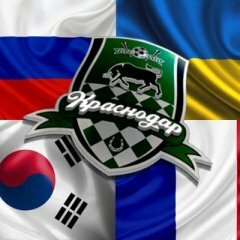 Is there any Krasnodar fan here who doesn't speak Russian? I do not think what our players have much funs at another country. Bonjour! Welcome to the forum. 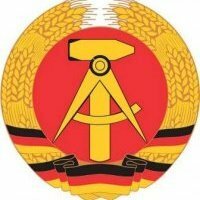 Привет ! Thank you. Are you confident about the next game this evening ? We have some worries about the game tonight, because FC Krasnodar has played 2 games last week and there was little rotation which means "Crvena Zvezda" will have advantage in physical conditions (they postponed their local championship game and were preparing for Europa League game the whole week). Another concern is about the quality of the pitch on their stadium, it is not very good for technical Krasnodar players. Finally, the Serbian club will have a lot of support from their full stadium (sold out) and hot fans. In my opinion, it will not be a simple game, but we will pass to the next round successfully. I'm also thinking that it's gonna be a very hard game. Krasnodar couldn't win 2 games in a week recently. There are also many injuries. I'm sure I forget many names : the players injured are Ristic, Pereyra, Kritsyuk, Okriashvili. As I understand Pereyra is not injured right now so he probably will play today. OK. That's good. What about Laborde and Podberyozkin ? I don't think they will play tonight, but they were not listed as injured. Then, probably there will be no Utkin. Zhirov made a lot of mistakes last month. I wouldn't be confident if he has to play. Oh dear... I just had my worst evening ever as a Krasnodar fan... How embarrassing ! All of us had... Where are you from? Good game against Dynamo Moscow but I'm still waiting for a large victory in 2017. The last one was against Ural last year.